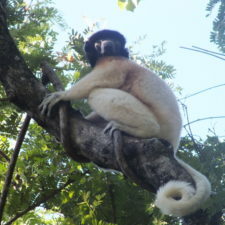 AEECL (Association Européenne pour l’Étude et la Conservation des Lémuriens) conserves lemurs in northwest Madagascar through innovative capacity building, community outreach, and on-the-ground research programs. 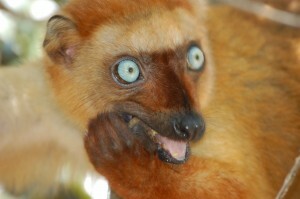 A female Blue-eyed black lemur (Eulemur flavifrons). AEECL has been conducting community-based conservation programs on the Sahamalaza Peninsula in northwest Madagascar since 2000. AEECL supports lemur conservation—especially that of the Blue-eyed black lemur, which may be extinct in the next 11 years—by maintaining and strengthening natural habitat and improving how that habitat is used by humans. Additionally, AEECL advances the understanding and conservation of Madagascar’s lemurs through scientific research and captive propagation. 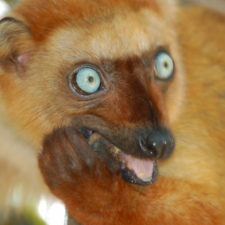 What Lemur Species does AEECL Protect? 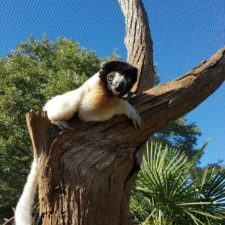 How does AEECL protect lemur habitat? 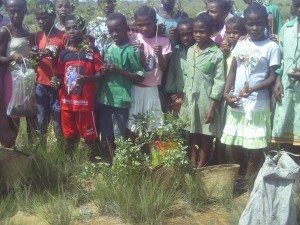 AEECL works with local communities to conduct community-based reforestation. AEECL’s programs planted over 111,000 trees around 14 villages in 2013 alone, often involving local schools. Once the trees are planted, an association of gardeners monitors the survival of saplings and re-plants trees if necessary. 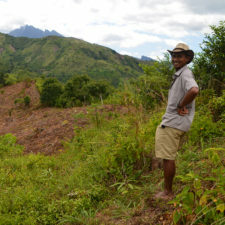 Constructing a fire break with the help of local communities. AEECL works with six local park committees to help patrol the forests in the national park. In 2013, these local park controls completed 300 patrol days. Lastly, AEECL works with local partners to organize community volunteers to build a 7 kilometer-long firebreak to protect the forest from the spread of wild fires. The community turn-out for yearly construction of the firebreak is extremely large—larger than many other community events in the region. The majority of AAECL’s projects are designed to address the needs of local communities. AAECL always considers and ask local communities’ opinions before designed or implementing a project or making programmatic decisions. 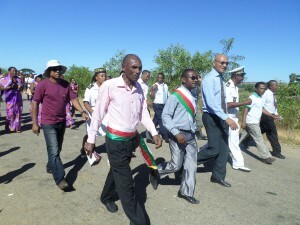 World Environment Day parade with local authorities. AEECL believes that lemur conservation is more effective when local communities benefit—directly and indirectly—from the national park. Since 2013, AEECL has been working to increase local capacity to accommodate tourists by building several key facilities, including housing and solar paneling. They have made significant progress in turning the Sahamalaza Peninsula into a tourist destination by working with local communities to build accommodations that could house tourists. 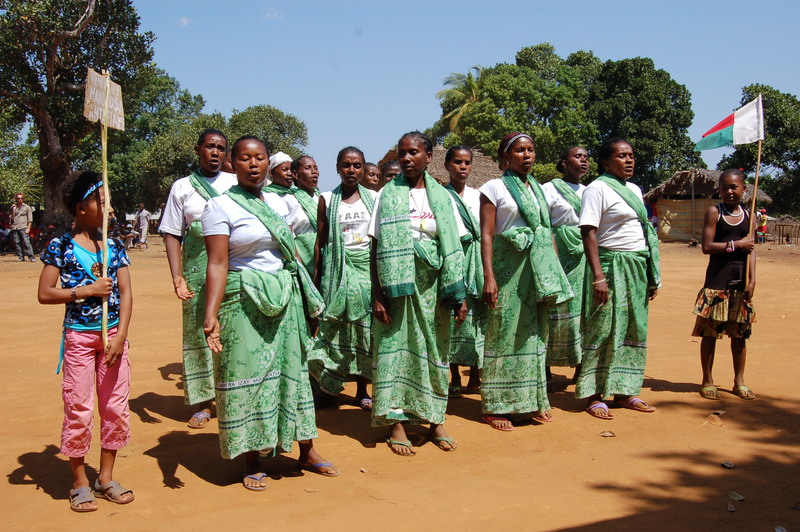 In addition, AAECL trains members of the local community to become tourist guides, training 33 new guides in 2010 and 2011. They also created a guide association, which advocates for the guides and organizes tourist group visits. Guide training helps local community members improve their French and increase their knowledge of the local ecosystem and lemur species, thus helping them to become ambassadors for Madagascar’s environment. Successful conservation work often requires organizations to address social development issues, like education and healthcare. AEECL has been working in education outreach since 2012, including much-needed school construction and renovation programs which impacted thirteen schools in the perimeter of the Sahamalaza National Park. AEECL also subsidizes the salaries of 60 school teachers, impacting over 2,000 students. AEECL has improved the sanitation, hygiene, and health through the construction of six water wells in their surrounding communities. The construction of these wells is extremely important because water shortages have become increasingly common over the past few years. 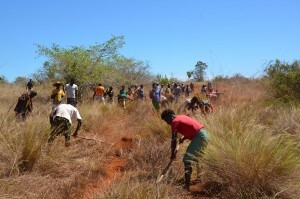 Reforestation outreach in rural Malagasy communities. AEECL also works on a variety of local environmental awareness initiatives, organizing activities for World Environment Day and the World Lemur Festival. A variety of activities are planned to increase environmental awareness, including parades, speeches, radio quizzes, sports events, and community dance events. The AEECL is one of the main funders and organizers of the Lampogno Festival, a fun 4-day event about how food availability and habitat conservation are connected using films, children’s activities, speeches, and even a song contest.